ProAnalyst customer case study from the Army Research Laboratory. 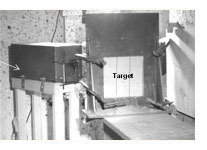 Photogrammetry is an important and perferred noncontact measurement tool to record and quantify deformation in armor testing. This report describes how the Army Research Laboratory uses ProAnalyst 3-D Professional software to analyze a high-speed deformation event. Digital kymography is a high-speed medical imaging technique used to visualize human vocal cord vibration. 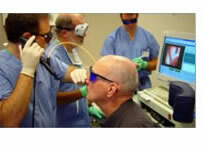 Before this technique was created, doctors studying vocal cords and their vibratory characteristics faced major challenges in capturing vocal cord motion for analysis and diagnosis. Assisted by Xcitex engineers, researchers at Massachusetts General Hospital have developed a solution using ProAnalyst and MiDAS software. 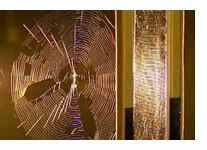 Biological researchers at the University of Akron in Ohio are conducting evolutionary studies on spiders and their silk. The team uses ProAnalyst motion analysis software from Xcitex to analyze web construction techniques and materials for a number of spider species. ProAnalyst customer case study from RUAG SPACE AG. This paper explains how the implementation of a high speed imaging system supported the validation of Finite Element models used to simulate the jettison phase and precisely reproduce the deformations and kinematics of the the Ariane 5 Payload Fairing. The 2-D images from each camera were analyzed with ProAnalyst 3-D Professional to produce 3-D measurement data for each measurement point. The data was used to obtain accurate three-dimensional trajectory data and optical feedback.